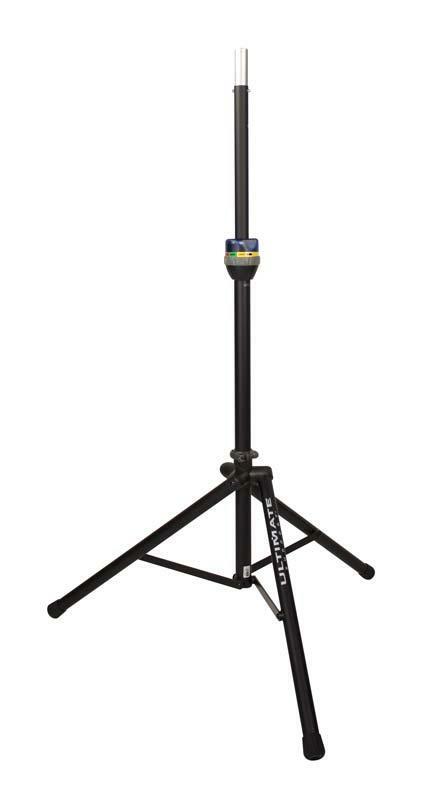 The Ultimate Support TS-90B (Item#13908) is a TeleLock speaker stand stand tripod that lifts and lowers speakers with the use of TeleLock auto-lock technology. 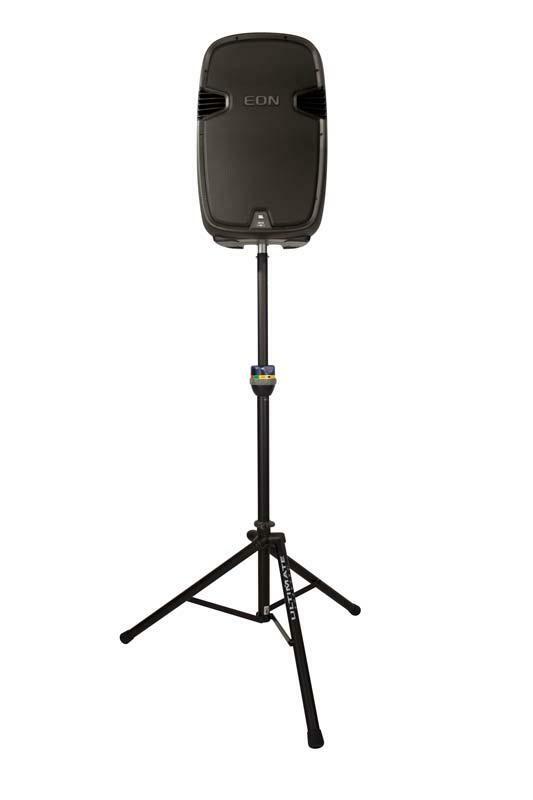 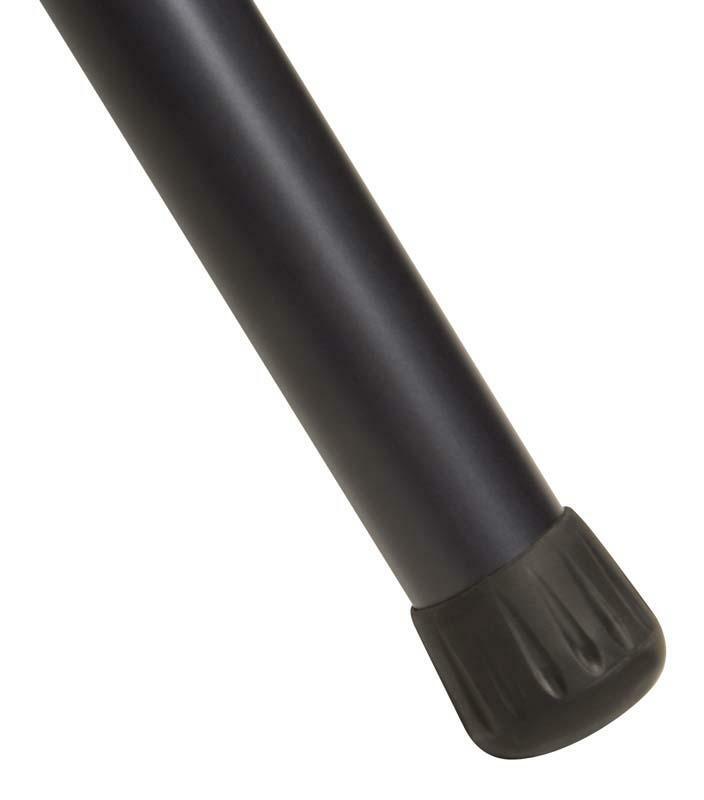 The TeleLock® Series speaker stands from Ultimate Support are extraordinarily strong yet lightweight due to its over-sized heavy wall aluminum tubing. 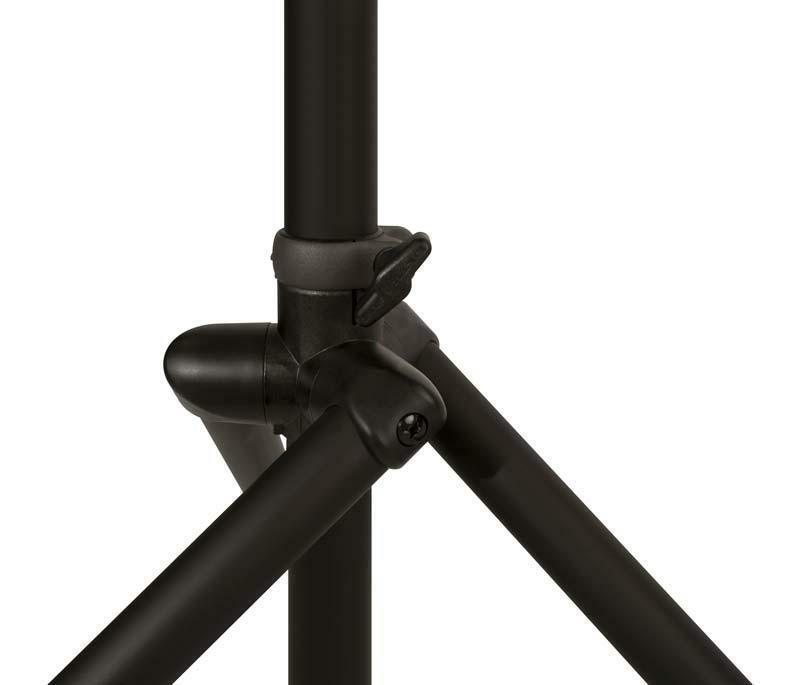 They're everything you'd expect from an Ultimate Support speaker stand - they're strong, sturdy, lightweight, 100% field serviceable, and easy to set up and take down. However, the TeleLock collar gives the user the ability to safely raise or lower the stand WHILE a speaker is on it thanks to the Auto-lock technology that securely grips the telescoping tube in place as you set its height.